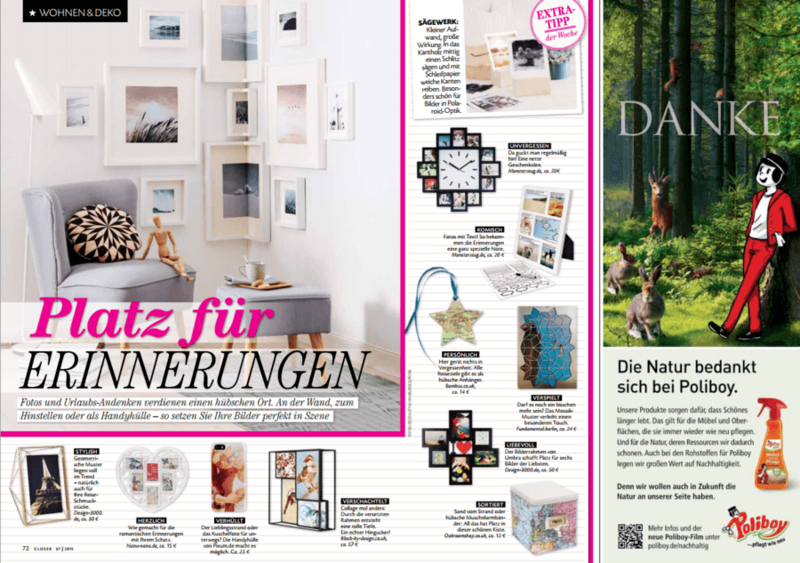 Christmas inspiration in German Closer magazine. Choose the birthplace of a new baby for a first Christmas keepsake. Or send one to loved ones far away to tell them you are thinking of them at Christmas. Just tell Bombus what you would like to have engraved on the reverse and they'll create and personalise this map star gift for you.